Today, traditional and modern businesses are recommended to opt for an integrated fulfillment management system. At 3PL Center, we provide stellar solutions for integrated operation. 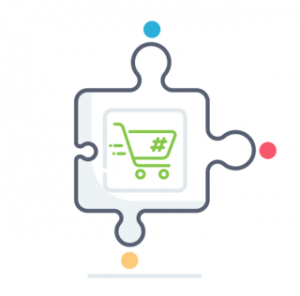 Our solutions allow you to tap on your existing shopping carts and ERP systems without having to switch to any other order and inventory management system. If you want to retain control and visibility of your fulfillment facility, enabling integrated operation is a necessity. What’s more, you will be giving your team the ability to address complexities that could arise during fulfillment operations. When it comes to integrated operation, it refers to holistic end-to-end integrated solutions for maximizing efficiency and profitability in warehousing and fulfillment operations. Your inventory and fulfillment processes will be incorporated with your accounting and manufacturing processes as a single integrated workflow. A sample workflow could include anything from billing to delivery to production and ordering. All in all, integrated operation solutions are designed to help reduce touchpoints and eliminate duplicate entries of information in multiple systems. You can expect your fulfillment process to deliver the best results in terms of accuracy, performance, and efficiency. We can integrate your orders from your shopping cart or ERP system. Orders will flow automatically from your system to ours, and when we ship, we’ll update your system with tracking, and mark it as “Completed” or “Fulfilled”. We can also integrate your inventory in your shopping cart or ERP system to ours. This will eliminate the need to update your system with inventory. Why Should You Choose 3PL Center for Integrated Operation? 3PL Center has been in the business for more than six years, and have a combined experience of more than 45 years. We have a deep understanding about the warehousing and fulfillment industry. We are experts in integrated operation, and we also manage premium-level warehousing facilities. By combining the knowledge we have and technology we use, we have the capability to facilitate a robust supply and distribution chain for your business. If you don’t want to manually re-enter your customers’ order data into another system (every time you receive an order), we have the perfect solution for you! With 3PL Center’s integrated operation, we are able to extract the needed data from web-to-print sites (once your customer submits the order), and push this data automatically without having to go through many points. The newly acquired information will then exist across all our systems. With minimal human intervention, a high level of data accuracy is maintained at all times. Since our inception, we have been serving our clients with the same level of dedication and passion for their warehousing, fulfillment, and integrated operation needs. You can request for assistance from our customer service team at any time. You can enjoy peace of mind as the solutions we develop are highly configurable and scalable. They can also be refined to match your unique fulfillment needs. Ready to Get Started with Integrated Operation? Contact us by sending us an email at sales@3plcenter.com or giving us a call at 732-391-2500. It’s time you experience a seamless integrated operation with your business, and enjoy productivity and efficiency at their best!